The Ivory Coast star had appeared to back his agent over an incident. MANCHESTER CITY MIDFIELDER Yaya Toure has revealed his demands for a birthday cake were meant to be taken as a joke and admits he was surprised by the reaction. The 31-year-old supported comments made by his agent, Dimitri Seluk, in which he appeared to criticise the club for failing to ‘shake his hand’ when presenting him with a birthday cake last May. Toure had initially claimed that statement to be true, fuelling speculation over his future at the Etihad, yet he has now insisted the words were intended as a joke and sparked an overreaction. “There was a lot of speculation about birthday cakes and rubbish like that,” he told BBC’s Football Focus. “It was disappointing for me because a little joke became serious. “I’ve been in Manchester for four years now and I have never demanded a birthday cake. The Ivory Coast international has faced criticism this season after a slow start to the campaign but, speaking in the same interview, he revealed he hopes to win the Champions League for the City fans. Email “Toure: I didn't demand a birthday cake from Manchester City”. 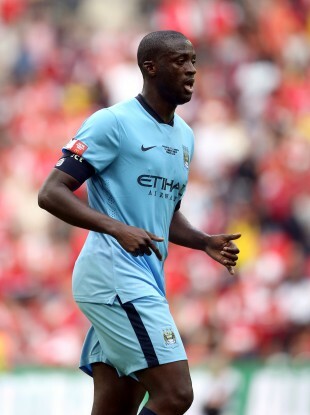 Feedback on “Toure: I didn't demand a birthday cake from Manchester City”.